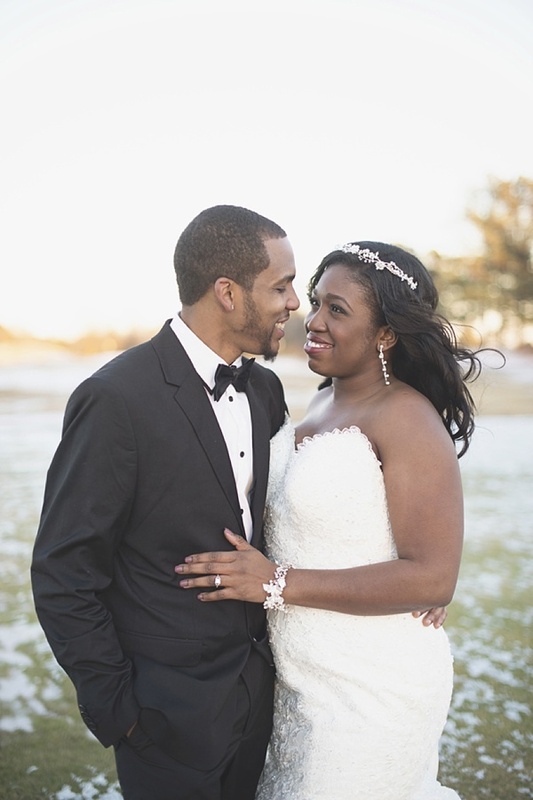 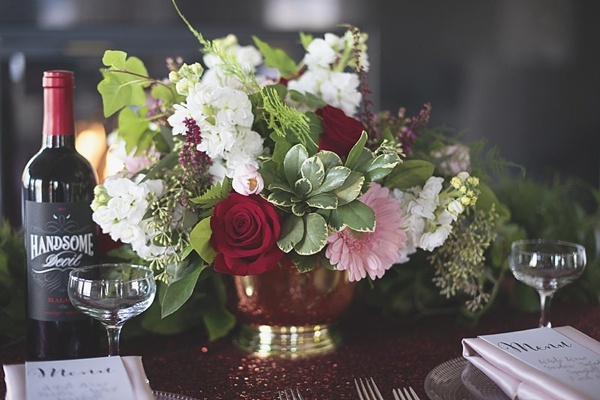 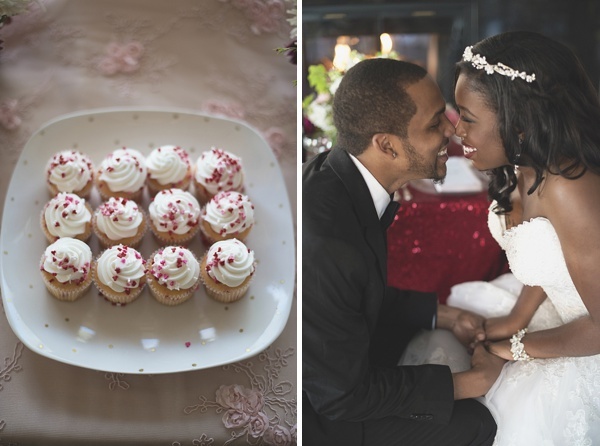 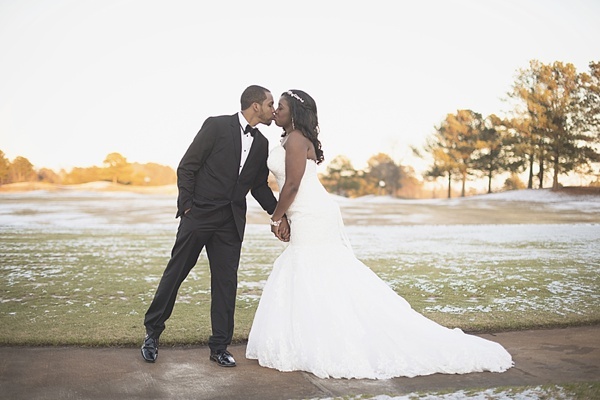 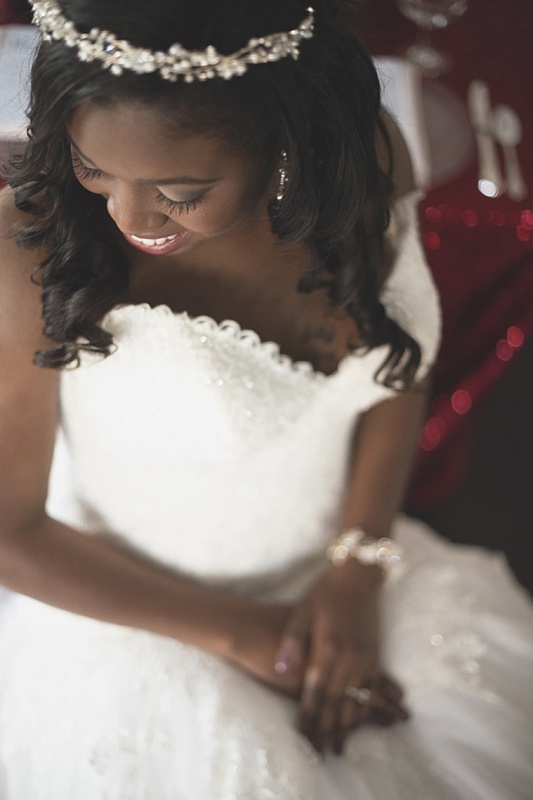 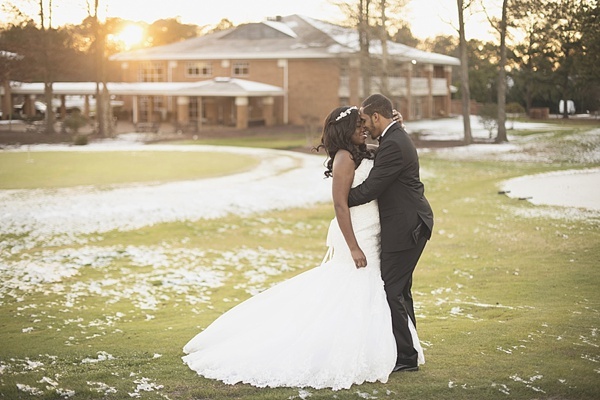 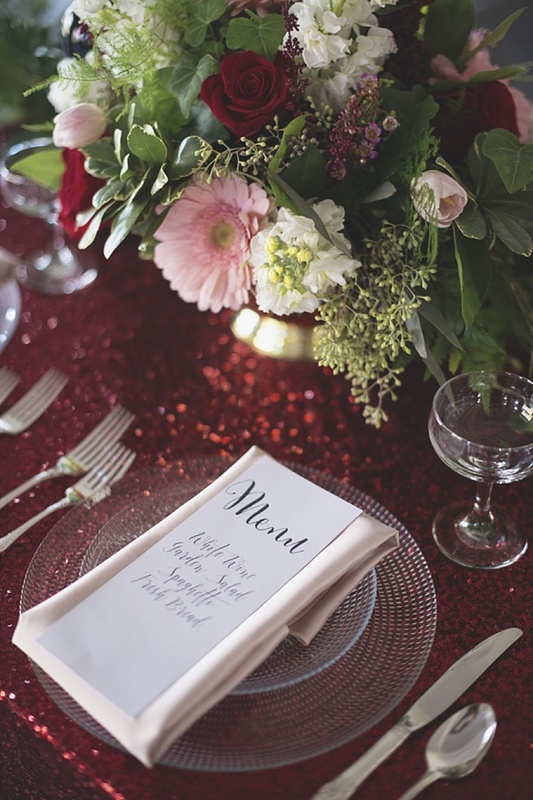 Set at the newly renovated Kiln Creek Golf Club and Resort in Newport News, this handmade Valentine's Day wedding inspiration is a sweet and totally doable theme meant for the winter season. 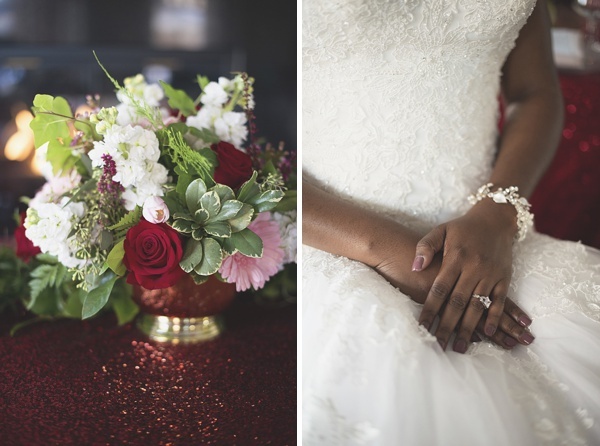 With a cozy fireplace inside for the sweetheart table, The DIY Bridal Network was inspired by the classic love-inspired colors of red, blush, and white. 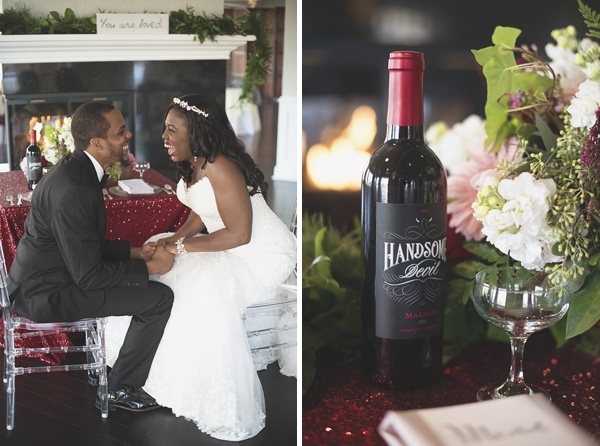 Photographed by Maria Grace Photography, the bride was made even more beautiful by the talents of Dhalia Edwards while the sparkly red linens from Waterford Event Rentals, low-sitting textured floral arrangement from Jeff's Flowers Of Course, and ghost chiavari chairs from Distinctive Event Rentals set the romantic scene. 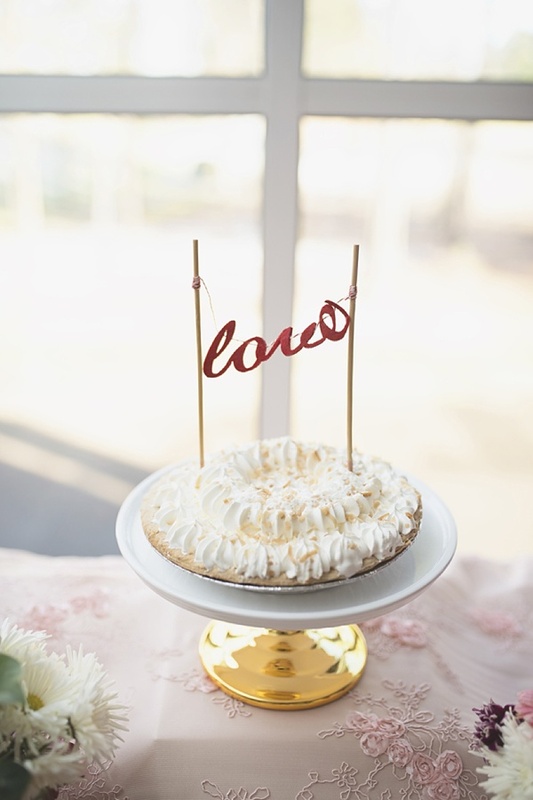 From the do-it-yourself menu card to the crafty "love" cake topper, this is perfect for couples looking for some Valentine's ideas... it even translates well to a date night dinner at home!